Two of my major pleasures are: rock and traveling. As a result, I have attended more than 100 concerts all over the world; the most amazing of them was —no doubt— U2 during his “360º” tour. 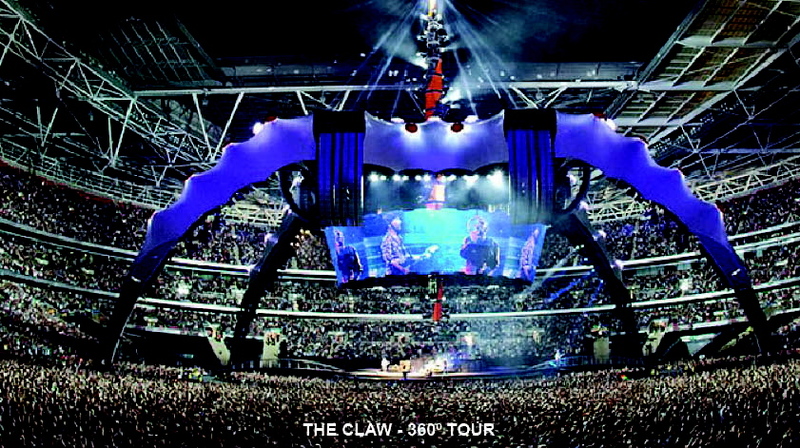 Watching a gigantic claw in the middle of a Stadium, was just spectacular. During that whole two-year tour (2009-2011) around the world, a notorious fact was the sponsorship of BlackBerry. You could see the advertising panels all over the stadium. Back then, having a cellphone of that brand was “in fashion”. While I had an IPhone, my colleagues used to tell me that, as an executive, I must use a BlackBerry; the “others” used IPhone. Shortly afterwards, RIM, the company that manufactured BlackBerry stopped producing them and withdrew from the consumer market in such way that today we could affirm it has disappeared. Nowadays it is dedicated to produce software for telephones almost anonymously. Now, knowing the whole story, I can say that BlackBerry rested on its laurels; It didn’t react to the arrival of a new technology that would rule the world from that moment on: touch-screens. It’s a whole case-study at universities that even motivated to write books1 . When it comes to technology, the one who stays behind, who does nothing to go forward, disappears from the market, “au revoir”, “ci vediamo”, “chau”, “goodbye”. Of course it is easy to say something about a fact that has already happened, as the saying goes: “anybody is a Monday morning quarterback”. However, let me give you a forecast: the end of a story that hasn’t yet ended, you choose to believe it or not. I believe so much in that future that I am getting ready for the change. In 1983 Primavera Systems is founded, its BlackBerry …excuse me, its main product was called Primavera Project Planner (P3), a very reliable software and very used in the construction world almost until the end of the first decade of 2000’s. I loved that software. However, Primavera Systems needed to expand and, as Information Technology field has a lot more projects than Construction, in 1999 they decided to acquire Eagle Ray2, a company that manufactured a software oriented at IT projects, which had essentially two things: many features of P3 and also handled project portfolios, something its P3 didn’t do. They called this new software —acquired and directed to the IT sector—, “P3e” (e for Enterprise) that evolved during the 2000’s as P3e, P4, P5 and the famous P6 that you are maybe using right now. 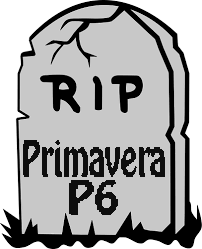 In the meanwhile, Primavera Systems left its firstborn P3 to focus on the new P6. The fame of P3 aimed to construction was capitalized by P6, so, that’s how a software created for IT sector became quickly in the new standard for construction world. As a matter of fact, I was a part of that change and as provider of the software I encouraged many P3 users to upgrade to P6. 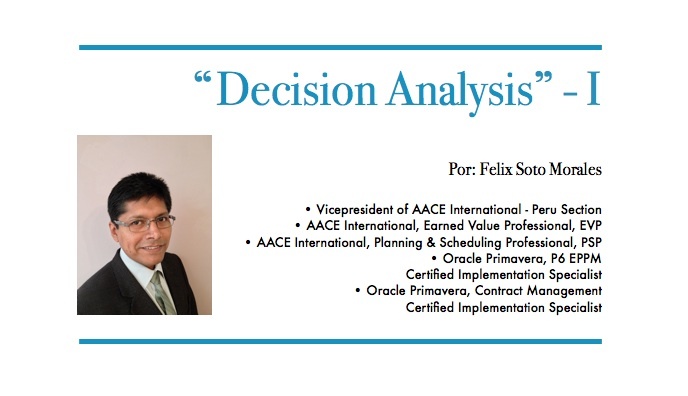 In 2008, the powerful Oracle —with thousands of software in its portfolio— decided to acquire Primavera Systems, which by that time had three important products: P6, of course; Primavera Risk Analysis, result of the acquisition of an english company called Pertmaster; and Contract Management, directed to contracts in construction sector, well known as Expedition. In that year I was an expert on those three software. ¿What happened with these software after Oracle’s acquisition? Nothing good, one day in 2013 they sent us a statement saying that Contract Management was no longer in use and it would be replaced by other of their acquisitions: the Skyre, better known today as Primavera Unifier. You could say that from Primavera only the name had left in the contract category, because Unifier has nothing to do with Primavera. In terms of risks, well, Primavera Risk Analysis —ex Pertmaster— was never updated anymore …excuse me, they changed the logo! The software is so good, but having eight years without any improvement since it was acquired makes me think a lot. In fact there was one more change besides the logo, they took away the Macros function, a feature loved by the most expert users of Pertmaster. And ¿what happened with P6?, this story is more recent: they changed the logos and the database, which passed from SQL to Oracle and then came back to SQL again because of the number of users that refused to use Oracle databases. The web side of P6 was remodeled and improved, I have to say, but ¿how many people use the WEB function of P6? So few. 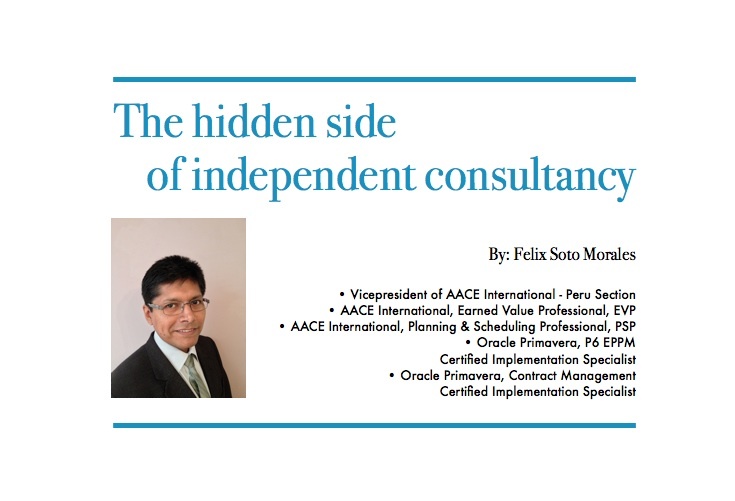 According to my own surveys with Latin-American, European and North American consultants, Professional version, the one you should know, is the most used. However, this version hasn’t had major changes since 2008, at least none visible to common user, except for the reengineering of icons. The fact of using or not using now the Java in the internal structure for example, is not of interest for the end user. We need new features to make our life easier, but after eight (almost nine) years, nothing has happened and I don’t think it will. Since the software isn’t perfect, at least in the construction world, the most capable users help us to discover how to fix those problems caused by software failures. What do you think is going to happen with software that has no real upgrades? That the only thing it does is to upgrade its version year after year without making any significant change for the user. What is going to happen when other software appears, actually leaded to construction and improving with each version? 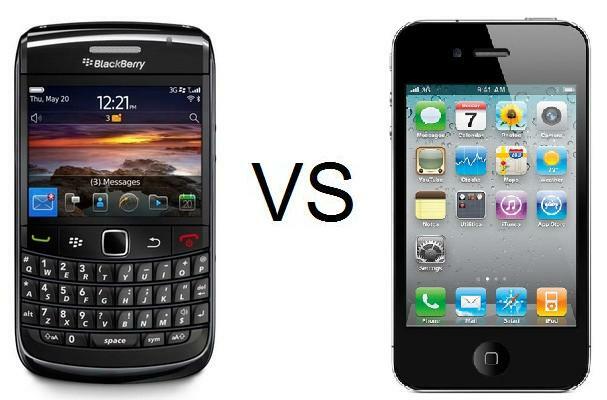 Well, here comes my opinion about the future: It will happen the same as Blackberry, it will be lost in time. Nowadays, at least in Peru, P6 is still in full swing in the construction sector. While in the past we were just three trainers to this software, now there are tens. While before only the owners get trained in P6, today more and more contractors do it. But, you know what? That wave is ending. As a matter of fact, it’s already happening in other parts of the world, in Asia and Europe this subject is a reality: P6 isn’t the king. 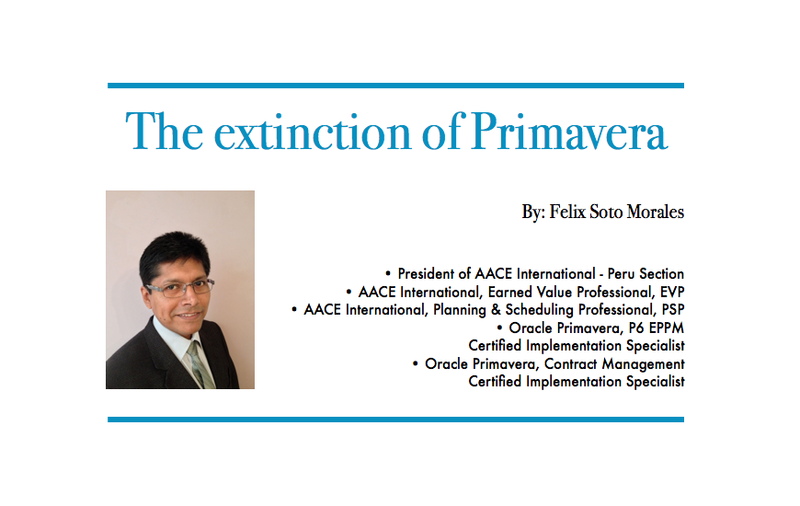 And in North America, when DRMcNatty, one of the best american consulting company specialized in Primavera —I would say in the world—, starts betting on other software, then the subject is more than clear to me: the extinction of Primavera P6 es imminent. Unfortunately, when it comes to technology, our corner of the planet is always the last to get it. That’s why a few months ago I decided to represent one of these new software developments, which are captivating the world more and more. I don’t want to wait for the wave to come alone, I want to attract it. I recently visited an exhibition in London and I could see they are already on that wave, that ‘s what Expos are for! Some people can say I’m predicting a black swan3; however, by the reasons exposed, I think it’s not about if change is going to happen here or not, but when. The sooner we adapt to new tools, the sooner we will upgrade our standard in project controls field. Project Controls Expo in London was a great opportunity to realize we have the same level of knowledge here. The difference is the tools they have on hand. But I will write about the Project Controls Expo in another post. By now, I’m going to put on my shield against all the critics coming from P6 users for predicting the extinction of the most used planning software nowadays in the construction world. Negotiating a software partnership in the United Kingdom, having a conference call to India for marketing an online course, training engineers in Chile, getting trained in Germany, transferring money to Virgin Islands, discussing your life insurance in Texas, sending a business proposal to Norway or giving software assistance in Spain; these are facts I would never have imagined to do, but all this happens because one day I decided to quit my job and run my own business as independent consultant. Since then, the adventure has not stopped. The side of being in constant contact with the world is one of the best things has ever happened to me, no discussion on that. And I just started with one of the positive things because becoming an entrepreneur lead to many sacrifices also, and in the next few lines I will tell you my experience, maybe it could help you if you are about to go on your own. When you are an employee, you share most of the time with your colleagues, after a few weeks or months you make definitely one or two more friends at least. Someone gets a boyfriend or girlfriend which maybe ends up in marriage. It is inevitable not to get “close friends” when you spend more than 50% of your awake time at your workplace. Since I quit my job, for me it has been a whole different story. As a consultant I visit companies for specific projects, a training, a coach or simply trying to sale my services, I spend very few time with people at work. Of course I have met some valuable people, great colleagues who I shared information with, people that I admire and like, people who I may seat to have a cup of coffee with, but I am and I will always be a third party, I do not belong to the company to which I give service, never. 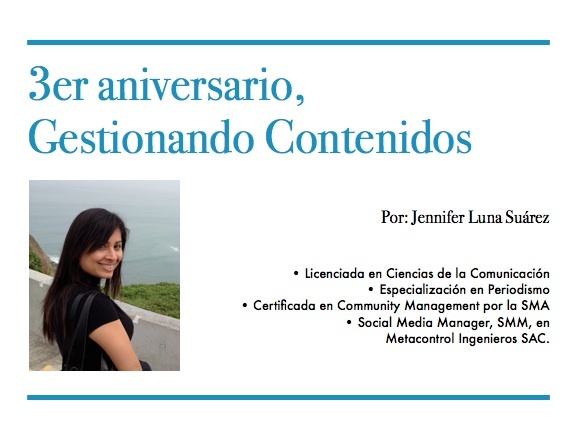 I remember once being seated alone doing my stuff at the working station, while the whole office celebrated month’s company birthdays; or worse: being invited to celebrate and sing the “happy birthday” song to a person I´ve never seen in my life. At the beginning, I felt bad but now I got used to it. So, you are warned. I do not beg for job but neither refuse the good opportunities, and sometimes these are on significant dates, that is why I have missed my daughter’s birthday, my 10 year wedding anniversary, a concert of my favorite band, among others. I have spent my own birthday at a project in the middle of nowhere, without receiving even phone calls because there was no signal. After 10 years of being independent consultant, my wife and kids now understand well that this is part of my job, the bright side is that this is also an opportunity to miss each other, even if I leave for just two days, after which there is always kisses and hugs at my return. Some people think my fee is expensive, of course my clients do not, but those who hire me know two things for sure: they will have a job well done and on time. Sometimes —well, let me be honest… almost all the times!—, I work on holidays, Sundays, even Christmas if necessary to accomplish my client´s tasks. In my world, the clients always ask for the impossible when it is about deadlines for deliver my service. “So, you want it for tomorrow? Ok that´s no problem” I always say. But in those cases, I have to admit that I’m very expensive. LOL. The trick to work in unthinkable hours, for me, is listening to my favorite music, I sing, shake my head and even dance when I do my job during those hours at home. Well, in this post I have remarked only three hard things when becoming entrepreneur, according to my experience. Of course it hasn´t to be the same for you. There are many others and I didn´t mention yet the positive things of going on your own. There are a lot of good things too!, but those will be covered in another post because right at this moment (Saturday 11:45 pm) my wife is rushing me to go to a good friend´s party. Offer: You can access our online course Tilos with 80% discount. You just enter the Coupon Code: Only20Tilos in the respective box. · Aportar el “óptimo” conocimiento teórico y el “máximo” conocimiento práctico. Profesionales del sector construcción, involucrados en la gestión de contratos; profesionales interesados en el tratamiento de reclamos de forma eficiente; y todos aquellos que deseen convertirse en ejecutores de claims de manera profesional. Ing. Civil-Mecánico de la Universidad Técnica del Estado (Chile). Socio de QDR Claims, Consultor internacional con más de 40 años de experiencia en Claims, resolución de controverisas y preparación de arbitrajes ligado a la gran minería, energía y servicios. Ing. Civil-Metalúrgico de la Universidad de Concepción (Chile). 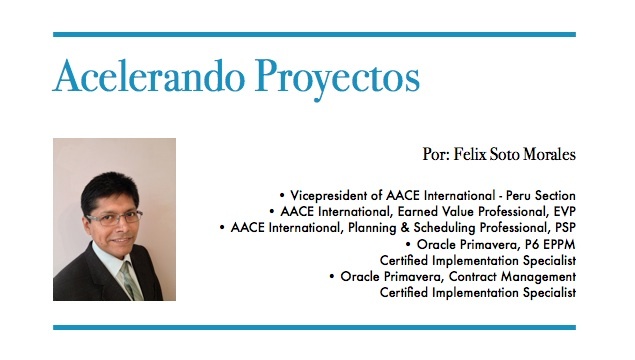 Consultor con más de 40 años de experiencia en liderazgo de equipos de claims, administración de contratos y dirección en la gestión integrada de proyectos, ocupando en CODELCO cargos como jefe de ingeniería, administrador de contratos y líder de equipo de claims. 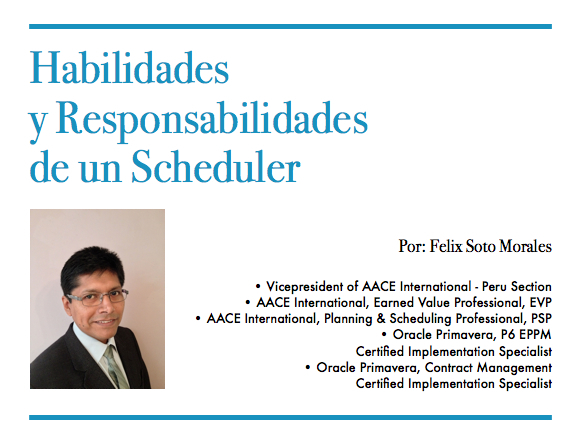 •Certificado emitido por QDRClaims (Chile), Planicontrol (Approved Education Provider de AACE International) y Metacontrol (Perú) por 16 horas lectivas, firmado por expositores internacionales. •Desarrollo de talleres y clases en los salones de NM Hotel, San Isidro Perú. Pago a nombre de Planicontrol S.A.C. Acelerar un proyecto significa acortar la duración normal del cronograma, de tal manera que se propone una alternativa con menos tiempo del declarado en la línea base original. Casi siempre, los ingenieros pensamos que se necesita una aceleración cuando se está atrasado; sin embargo, esto no siempre es así. ¿Por qué tener la necesidad de acelerar un proyecto? La fecha final “normal” del contratista no coincide con la fecha final impuesta por el dueño del proyecto. Incluso antes de presupuestar se sabe que no se puede llegar a la fecha requerida en condiciones normales, por lo tanto se requiere de una aceleración para cumplir con la fecha impuesta. Después de haber completado cierto avance, el contratista se da cuenta de que está atrasado y no va a poder cumplir con la fecha de fin requerida. Las penalidades pueden hacerse efectivas de no llegar a la fecha final original y se presenta un cronograma de recuperación. En algunos contratos existen incentivos monetarios por acabar anticipadamente con el proyecto. A veces, cuando el constructor tiene varios proyectos en cartera, le es conveniente acabar mas rápido —incluso a costa suya y sin incentivos— para poder movilizarse rápido a otro proyecto más lucrativo. La escasez de profesionales es un punto crítico en coyunturas de mucha demanda. ¿Cuáles son las estrategias utilizadas para acelerar un cronograma? Revisar detalladamente el cronograma. Aunque usted no lo crea, a veces la aceleración se produce simplemente porque el cronograma original estaba lleno de errores como lógica mal definida o restricciones que nunca se validaron. Una falla típica es considerar relaciones tipo FS (Fin-Inicio) cuando una relación SS (Inicio-Inicio) seguida de un lag corto puede funcionar en la metodología a utilizar en el campo. Con esto, Ud. puede ahorrar varios días, si hace los cambios necesarios sobre la ruta crítica. Los programadores conocemos esta técnica como: “traslape de actividades”. 2. Fast-Track. Este término se refiere a iniciar la construcción aún cuando el diseño o ingeniería todavía no han sido terminados del todo. Esta es una decisión que se toma con el dueño del proyecto y el responsable de la ingeniería del proyecto, ya que—en ocasiones— suelen presentarse necesidades adicionales mientras se va ejecutando el proyecto. 3. Hacer estudios de Ingeniería de Valor y Constructabilidad. Value Engineering o Ingeniería de Valor se realiza en la etapa de planificación del proyecto, para dar diferentes alternativas de diseño que impactarán en el costo, programación y uso de materiales en el proyecto. Ejemplo: la elección de un proceso diferente para purificar el agua da como resultado tiempos totalmente diferentes en la construcción de una planta de tratamiento de aguas. La constructabilidad se refiere a la optimización de los procesos de construcción y se puede realizar a lo largo de todo el proyecto. Ejemplo: un cambio en el sistema de encofrado puede hacer que nos tome menos tiempo para el proceso de concreto. 4. Trabajar sobre-tiempo. Es uno de los métodos más aplicados por los ingenieros a cargo de los proyectos y es utilizado para realizar aceleraciones no tan dramáticas. La desventaja de este tipo de aceleración es que a medida que se aumentan las horas de trabajo, la productividad del trabajador baja considerablemente. 5. Aumento de turnos de trabajo. Esta es talvez la aceleración más dramática que existe y sólo es utilizada cuando el impacto de la penalidad o incentivo para el contratista es muy grande. 6. Ofrecimiento de incentivos a los trabajadores. Siendo que el contratista muchas veces tiene un incentivo por acabar un proyecto antes de tiempo, esto se traduce también en bonos e incentivos para los trabajadores. Con los incentivos puede mejorar la productividad de los trabajadores. 7. Aumentar trabajadores sin aumento de turno. Cuando se aplica este método, muchas veces se atenta contra la seguridad y resulta en improductividad. A veces no es posible hacerlo por lo reducido de los espacios. 8. Adquirir equipos especiales para acelerar los trabajos. Ejemplo: la adquisición de un equipo de mayor capacidad. 9. Mejorar la supervisión del equipo del proyecto. A veces es necesario hacer cambios en el equipo del proyecto si se detecta que no tiene los líderes o recursos humanos idóneos. 10. Mejora en las comunicaciones del proyecto. Sucede que, sin darnos cuenta, la demora en la respuesta de una consulta técnica (RFI) o la demora de una autorización para proceder con la ejecución de alguna actividad hace que el proyecto sufra —a la larga— impactos en el tiempo total. Tomar la decisión de acelerar un proyecto implica muchísimos impactos que a veces no podremos anticipar. Pero una cosa es cierta, mientras más temprana sea identificada la necesidad de acelerar el proyecto, más opciones tendremos para hacerlo y los costos podrán ser menores.